Here is the long awaited Despicable Me Party Reveal that Giveaway Winner Summer won for her 9 year old son from Fabulously Smitten. 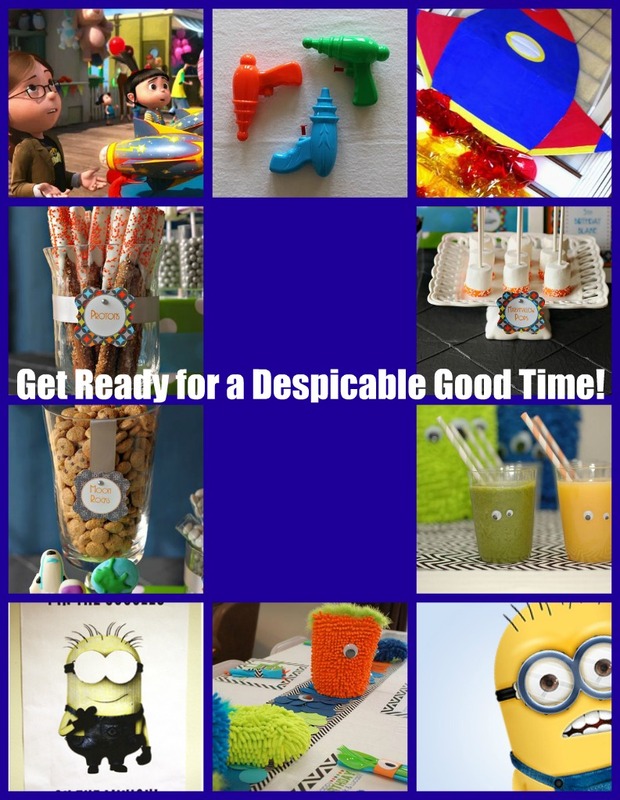 I cannot tell you how much fun it is planning a party so DESPICABLE! The Inspiration Board was so amazing to create. 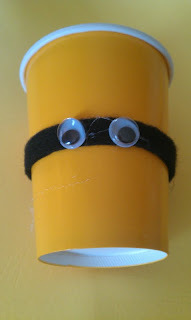 The Minions really make for fun and easy crafting ideas. 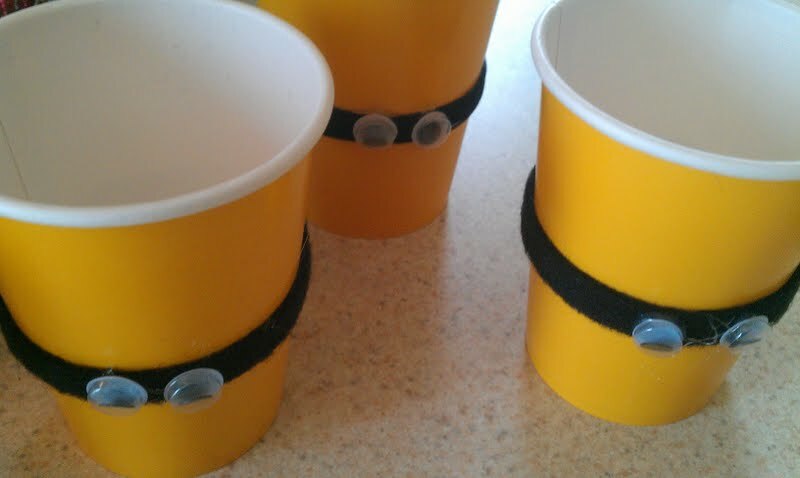 The Minion Cups were very quick to create. which were in a pack of 10. 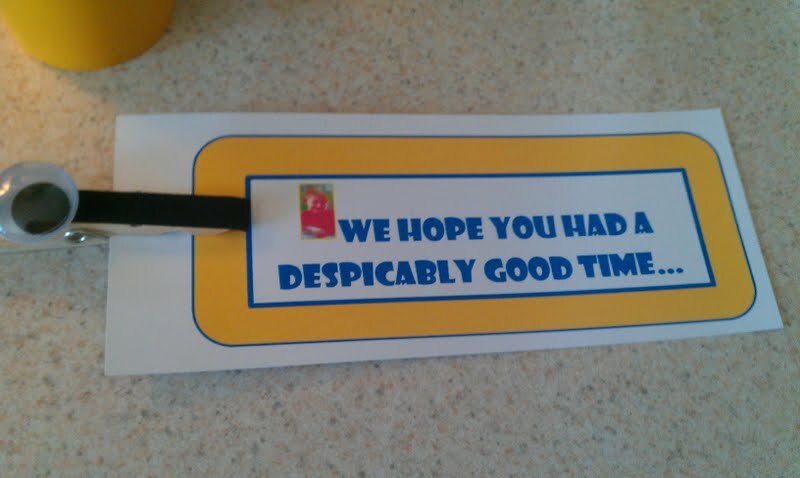 The black ribbon and googly eyes were from Wal-Mart in the craft section. My trusty hot glue gun did and her magic and the minions came to life! 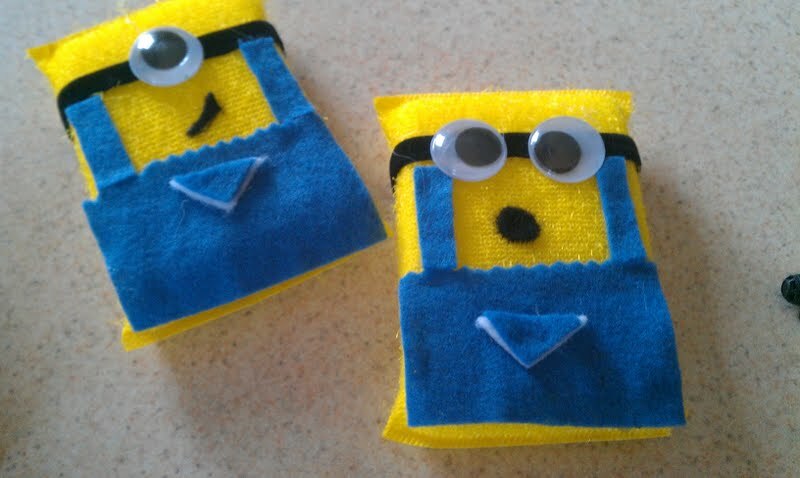 Take and Make Minions seemed like a must for the younger crowd! These Minions were created with Dollar Store sponges, as well as felt and googly eyes from Wal-Mart. 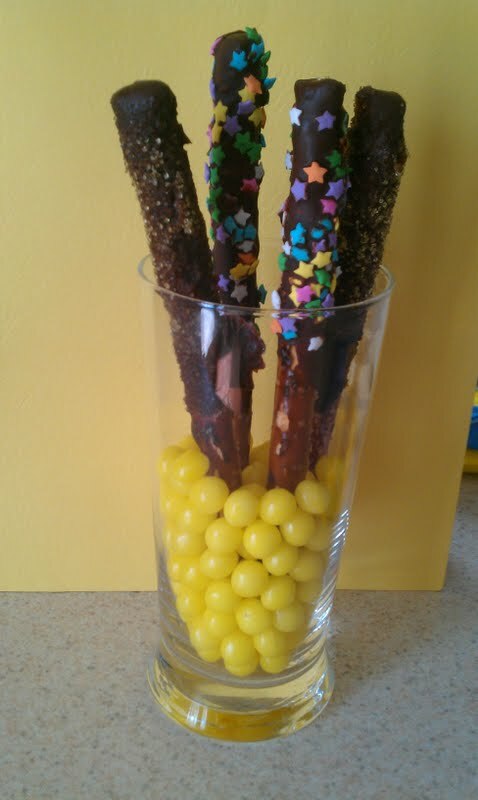 I used my hot glue gun to attach everything. 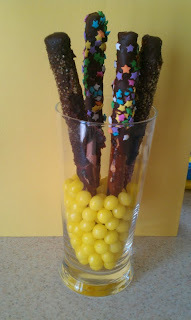 Shrink Rays make the ideal parting gift for party goers! 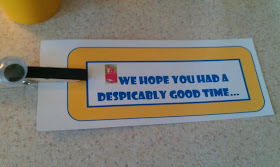 I used a picture of the Birthday Boy to adorn the tags for party favors! Love your ideas!!!! I'm trying to plan a DM party for my 3 year old daughter and being overseas it is a mission to get things at local US stores. Thank you for your posting.